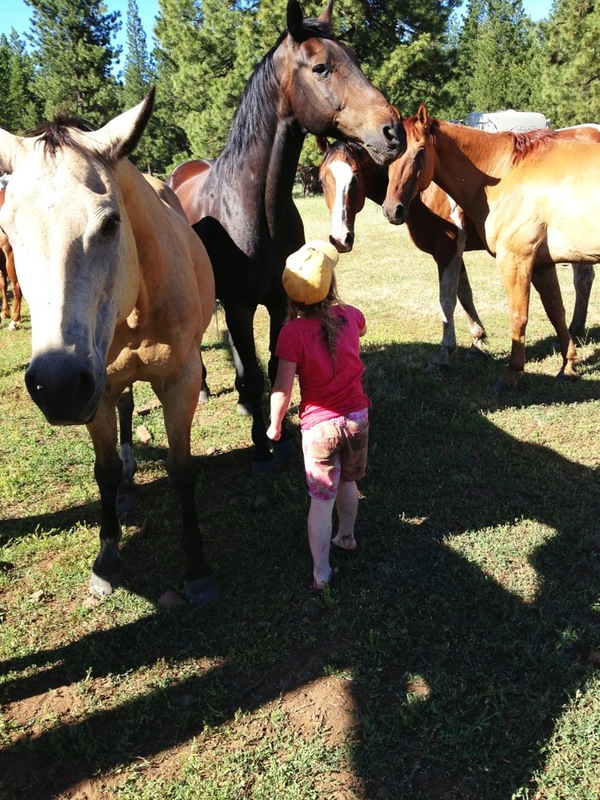 Watching my children interact with our various animals is one of my favorite parts of living on the ranch. My daughter is developing a love for horses. She is learning to appreciate their beauty and strength while learning how to care for them. She spends time each day grooming her horse, feeding him a handful of oats, and riding him through the field. My youngest son likes to ride his horse (as long as he is trotting!) but his spare time this summer is spent with the dogs. 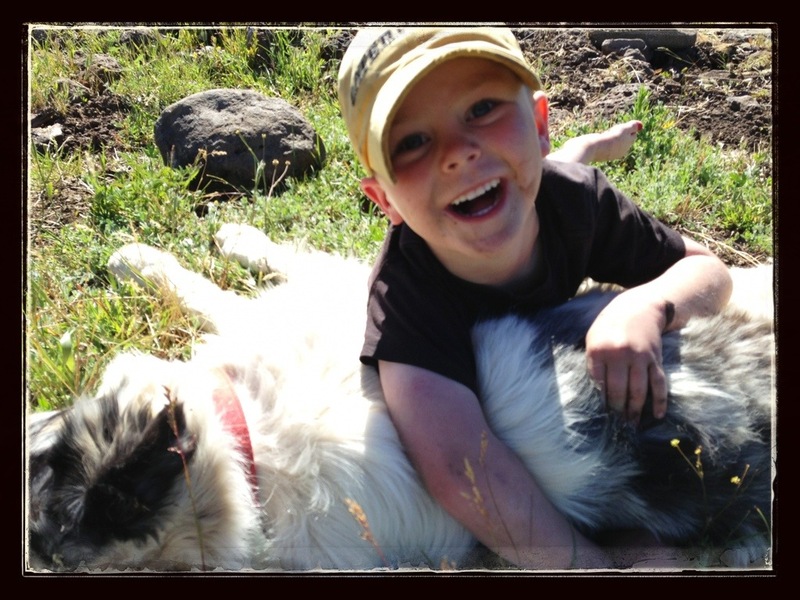 He helps feed and water all of the dogs, however his favorite dog is our big Aussie, Jake. The two of them spend hours together splashing in the creek or digging in the dirt or laying in the shade. They’re inseparable.